This research aligns with Seven Stories’ approach to creative learning and engagement and their objective ‘to explore how to empower children to better shape their own worlds’. It also has synergies with the ‘immersive curriculum’ that Mountfield Primary School are embedding. Seven Stories introduced partners at Mountfield to the Centre for Learning and Teaching’s work on Community Curriculum Making, and together they embarked on a new project exploring this framework. 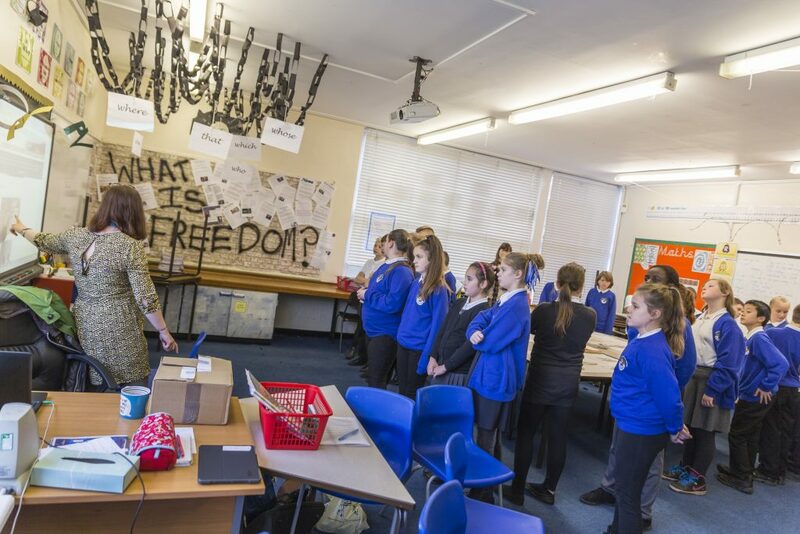 The starting point for the project was an essential question that the children would explore: ‘What is freedom?’. The project built on Seven Stories’ programme of engagement around the Beverley Naidoo collection, and framed the children as ‘researchers in their own journey’. The Year 6 class spent their first school term studying Beverley Naidoo’s book, Journey to Jo’burg, which has been in print for 30 years and is represented within the Seven Stories Collection. The book was released during Apartheid and banned by the South African Government. It tells the story of black South African siblings, who risk an illegal, 250km journey to find their mother, a servant in a white household in Johannesburg, because their baby sister is gravely ill. 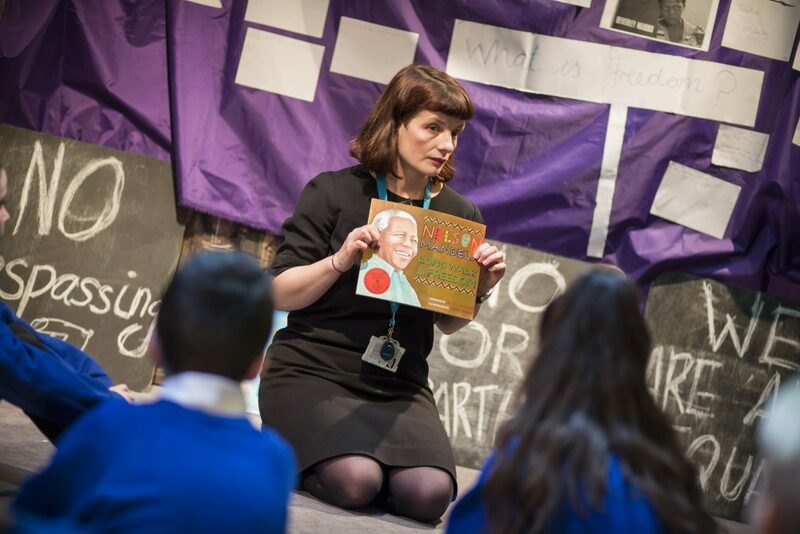 The students, led by Seven Stories’ Learning & Participation Manager Debbie Beeks, explored the themes of the book through drama and writing, examined related items from our archive and enjoyed an opportunity to Skype with author Beverley. The children made mining heritage connections between the North East’s coalmining tradition and the goldmines of South Africa that feature in the story. They met Dave Temple, an ex-miner who led the South African miners’ solidarity campaign with the National Union of Mineworkers. This helped them to make connections between the local and global communities. 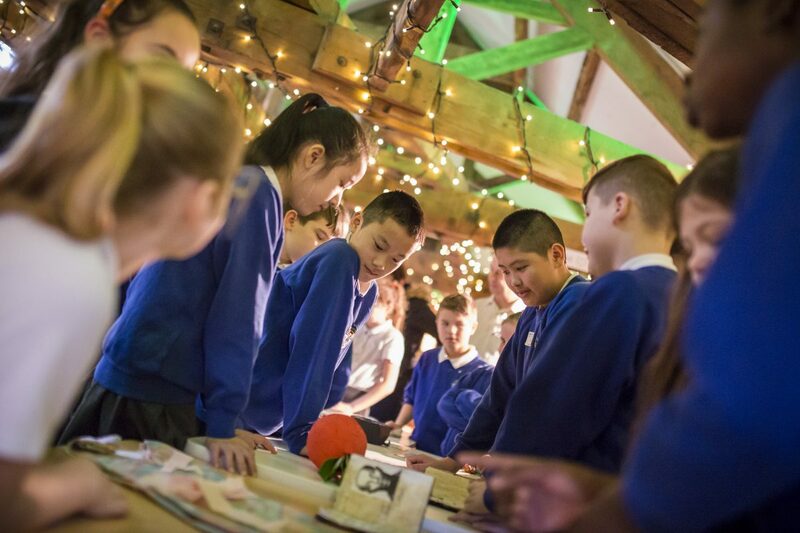 The project culminated in the Year 6 children inviting Year 5 and Professor David Leat to visit their pop-up ‘Museum of Freedom’ in Seven Stories’ Attic, which they curated themselves. The objects that they displayed in the Museum of Freedom were created using Seven Stories’ Artefictions approach, which sees the creation of artefacts from fiction, to tell the story in exhibition-form. 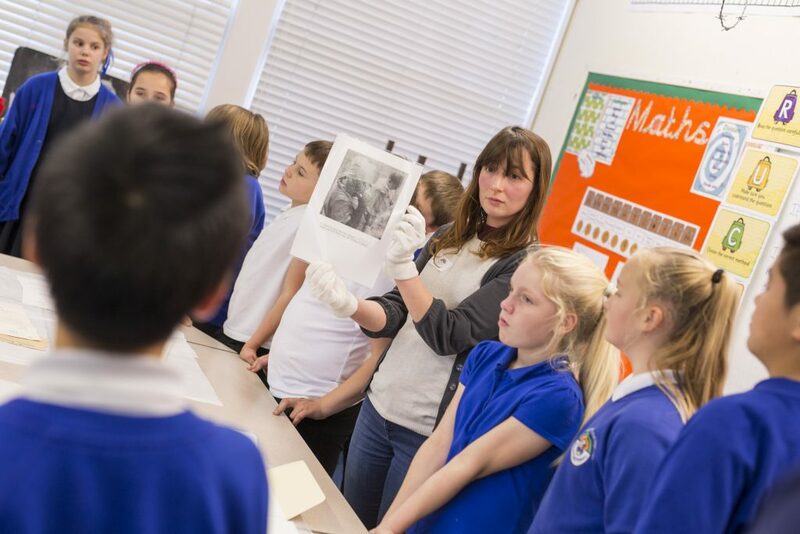 In evaluating the approach and impact of this project, Debbie Beeks and Gary Robson (Year 6 Teacher at Mountfield Primary School) found that the Arts Council England Quality Principles and Newcastle University’s Community Curriculum Making research had complementary characteristics. These gave them a common language and frameworks to explore the rich artistic opportunities that the collaboration presented. The children were able to navigate literature and the arts, from the local to the global, through their own learning journey. 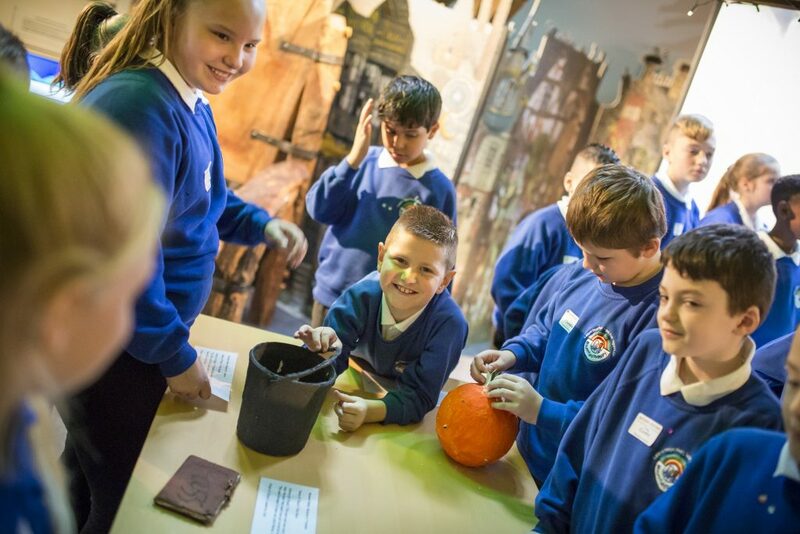 The Schools’ and Partners’ Guide to Community Curriculum Making through Enquiry and Project Based Learning guide was supported by ESRC Impact Acceleration funding. With thanks to Laura Barrett and Debbie Beeks at Seven Stories, and Professor David Leat and Ulrike Thomas at Newcastle University, for their help with writing this blog post.